1. 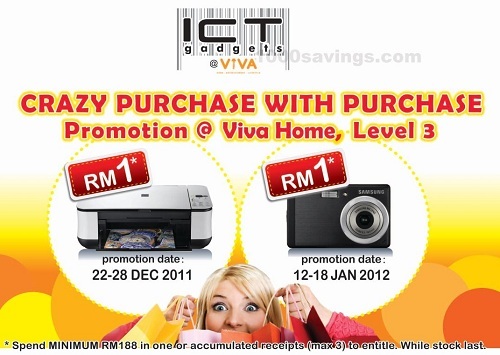 Spend MINIMUM RM188 in one or accumulated receipts (max 3) at Viva Home (Level 3 only, please refer to the participating outlet) to entitle. 2. Fill up the entry promotion form. Promotion is limit to One (1) entry per person.